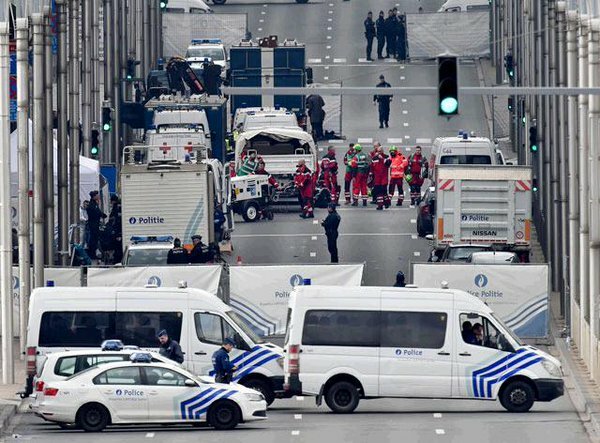 ISIS claimed to strike again on European soil by launching attacks on the airport and a subway station in Belgium’s capital, Brussels, that killed at least 30 people and wounded about 230 more. According to Belgian security sources, the attackers came from the same network behind November’s massacres in Paris, which left 130 dead. NATO, the military alliance that is headquartered in Brussels, increased its own alert level and expressed solidarity with Belgium. 1- Notify your company and the U.S. Embassy of your whereabouts, status, and onward travel plans. Search for your nearest U.S. Embassy and their contact details on the official government website and register your future travels via the State Department’s Smart Traveler Enrollment Program, or STEP. 2- Use Facebook’s Safety Check feature to quickly inform your friends and family, via the social network, of your safety. Geolocation will pinpoint your proximity to a site of crisis, and your next visit to Facebook will prompt you to “mark yourself safe. 3- Gather phone numbers and monitor social media accounts for your booked airlines and hotels, should travel be disrupted or rescheduled. Have your confirmation codes for booked travel easily retrievable. Memorize your passport number. 4-Visit the U.S. State Department’s Alerts and Warnings website for details and assessments of any new potential threats to foreign tourists resulting from the crisis. If you are an ATG customer, please reach out to us immediately. Our travel team is ready to help you no matter where you are or what time it is.